It would be a great error (which a wicked man would use to garner pity for himself) to treat a wicked, abusive, power-hungry person as if they were victims of a demon. Jesus healed the boy described here by Mark, but you do not see Him “healing” the wicked, evil, unrepentant person. But I do want to point out something that I have encountered several times in which an evil man, denied his demands or confronted with his wickedness, throws himself down in a fit rather like a tantrum-throwing child might do. And I have a theory. Namely, that this is indeed a sign of the devil’s involvement in the wicked man’s tactics to punish and guilt and control others. Well, I have had that kind of thing happen to me in my years as a pastor often enough that I knew this was an attack in the making, so I stopped him and told him I was going to call the other elders in our church right then to come and sit down with us and THEN he could go right ahead and say what he had to say. Well, he kept using his “kind, Christian” meekness for a bit and said “Oh, no, that won’t be necessary. Just you and I can handle this.” I said, “no.” And I picked up my phone and called our elders and they said they would be right down. Once the other elders arrived, I told him, “alright, now you have something to say. Go ahead.” Sure enough it was a string of accusations. His bodily agitations and hand waving and head shaking continued. We all rebuked him and it was not long before (he did not repent) we found that his evil deeds in secret were continuing. We put him out of the church. All of this came to my mind recently and I believe I have connected some more dots. I have mentioned in other recent posts that I am reading the wonderful three volume biography of Winston Churchill by William Manchester. (Read it. Especially volume 2. I say again, read it! Please! 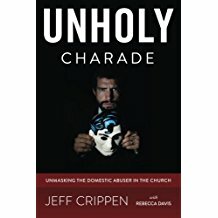 If you want to see evil playing itself out and being enabled by naive, cowardly people and victims being thrown under the bus, read this book. The abuser is Hitler. The enabler is Neville Chamberlain and his cohorts in his cabinet who through their cowardice and willful blindness to evil nearly handed the world over to the Axis powers). …Hitler fell to the floor, writhing in one of his famous fits. [The British envoys] noted that the Reich chancellor ‘shrieked a good deal.’ [It was effective and the Brits decided not to deliver any kind of stern warning that Hitler must not invade Czechoslovakia]. Now, this deserves serious and thoughtful consideration by all of us. Was Hitler demon-possessed? It is very possible, is it not? And what really struck me as I read this account is how similar his “fit” was to what I had observed in the wicked man I had to deal with. So what might we conclude? Evildoers, sociopaths, psychopaths, wolves in sheep’s clothing who come among us parading as Christians, will sometimes (perhaps more often that sometimes) throw a thrashing fit like this and when we see such a thing we can be certain that we are in the presence of an evil person. What is it such an evildoer is after? Sympathy? Perhaps. “Oh you poor man. I didn’t mean to make you feel so badly.” Or perhaps it is a reviling, shaming, guilting form of assault upon you for daring to deny the fellow his demands. Whatever his motive, he is after power and control. You will submit to his commands or he will thrash and tantrum to punish you. For myself, I believe that such a thing is in fact demonic. I have no sympathy for the man. I do not see him as a victim of the devil. Oh no. I see him as an emissary of the devil working to destroy Christ’s people. I am sure of it. I will be sure the next time I see such a thing. You can be sure too.